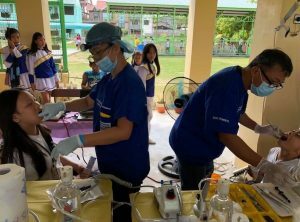 Early this year, in its effort to expand its outreach dental missions, Dentistry For Every Village (D4EVF) went out searching for partners that espouses their same mindset of providing humanitarian services to poor and marginalized villagers in the Philippines. D4EVF President, Dr. Ed de la Vega reached out to friends at the ABS-CBN, the largest Philippine-based international media conglomerate with branch offices in Daly City, California. He spoke to Ms. Narissa Fernandez, the Head of ABS-CBN Global Corporate Affairs and explained his needs. 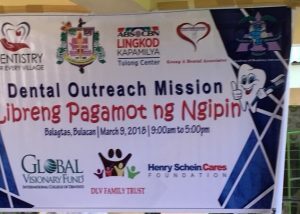 Readily, Ms. Fernandez referred Dr. de la Vega to Mr. Jerry Bennett, the International Managing Director of the ABS-CBN Foundation who is likewise based at Daly City. 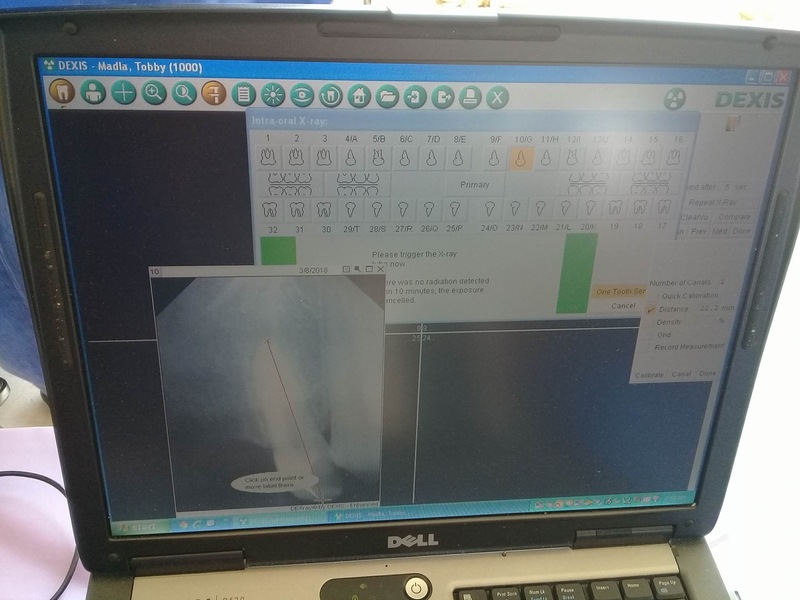 Mr. Bennett had a long conversation with Dr. de la Vega to determine exactly what they can do to help D4EVF. 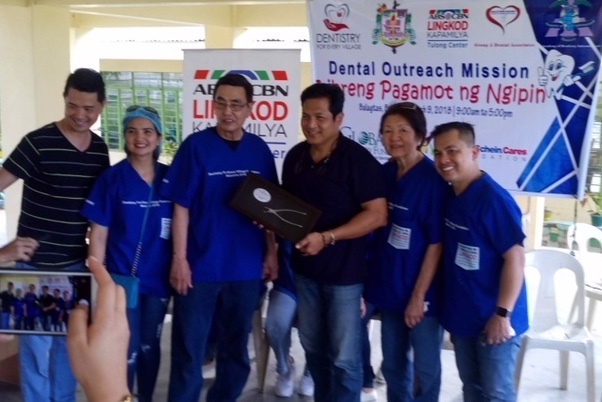 Convinced that the mission of D4EVF runs parallel with theirs, Dr. de la Vega was introduced to Mr. Higino Dungo Jr of the ABS-CBN Lingkod Kapamilya Tulong Center, one of the many charitable entities of ABS-CBN based in Quezon City, Philippines. 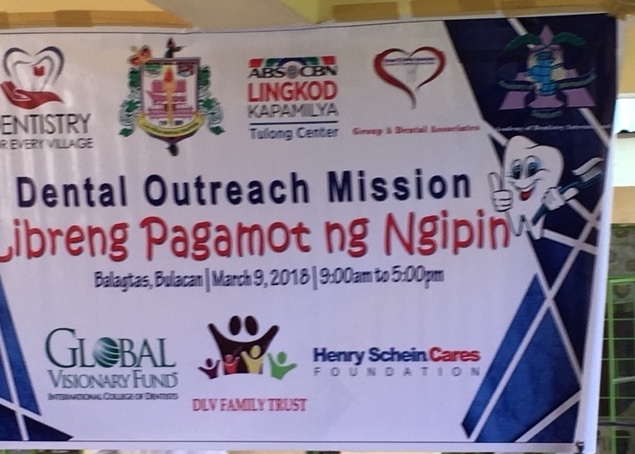 Upon learning the goals and the missions of D4EVF, immediately Mr. Dungo referred Dr. de la Vega to a specific person in their offices, Ms. Victoria Libao to explore the possibilities of tying up their regular charitable projects with D4EVF. A Memorandum of Agreement (MOA) to this effect was formulated and the joint project was formed. 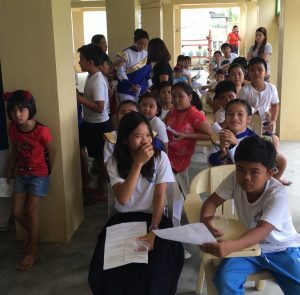 The initial joint project was held at Barangay Frances, Calumpit, Bulacan, Philippines. 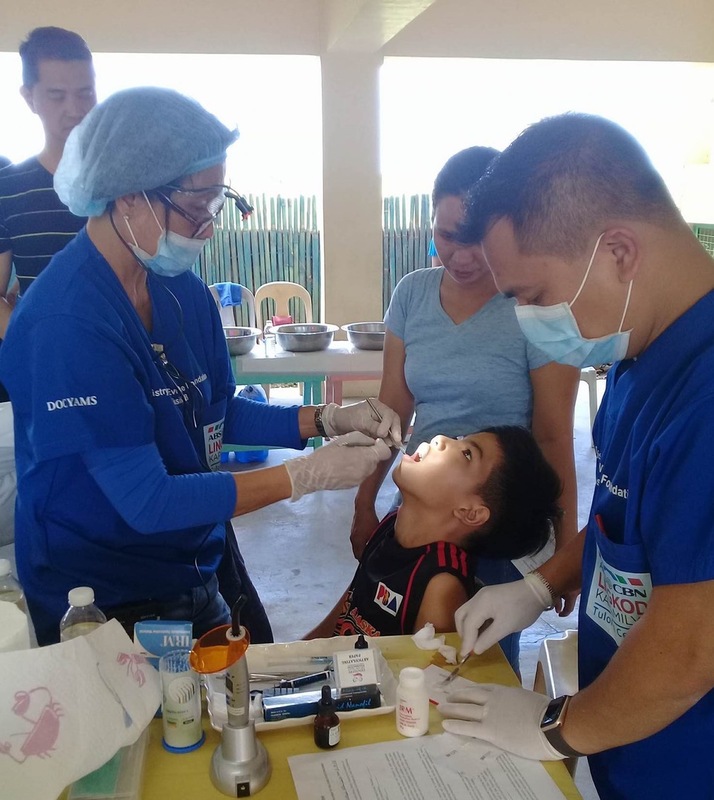 The stakeholders at ABS-CBN selected the village due to their familiarity with the needs of the community, accessibility to the place, and other issues relative to a humanitarian dental mission. 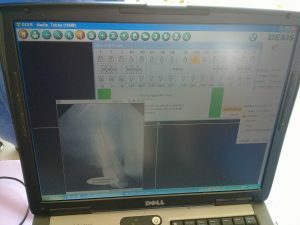 The response of the community to the joint project was more than expected. 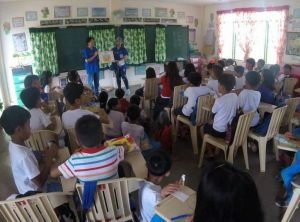 The local leadership, including the school principal, Ms. Elvira Ramos, helped immensely in ensuring that the mission went on smoothly. There were volunteers from the local health services as well as Barangay Tanods (security people) to assure order, as well as people assigned to guarantee that waste generated by the mission will be properly disposed of in accordance to the D4EVF protocol on waste management. Sterilization of instruments was likewise done per protocol of the local healthcare authorities. The mission was set at the Frances Elementary School for easy access to clean running water, shelter from the early summer rains and high humidity prevalent to the country at this time of the year, and adequate power. 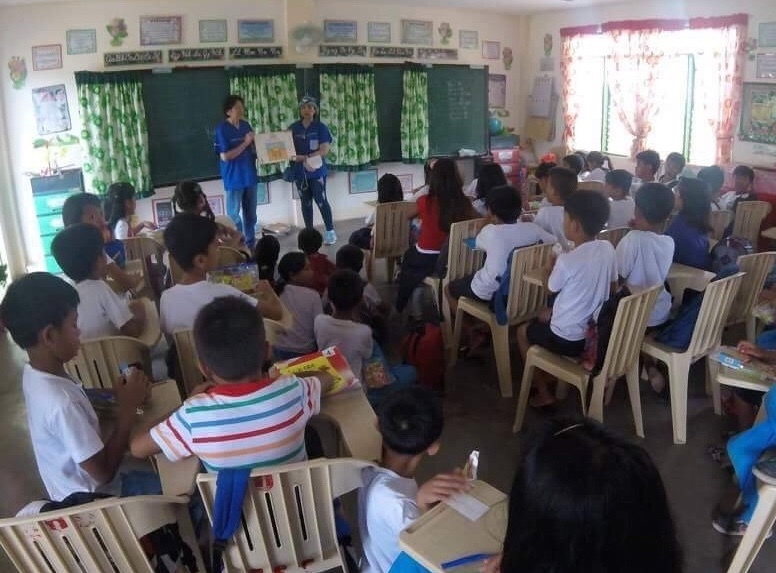 It targeted the school children and residents of the barangay. The initial number of patients targeted for the mission was 200. However, with the D4EVF providing 29 volunteer dentists from the Las Piñas Dental Chapter of the Philippine Dental Association, two from the greater Los Angeles area, (Dr. Randy Lozada of Sylmar and Dr. Vic Rosales of West Covina) a physician from Roxas City, Capiz -Ange Picardal-Clavaton, MD and a nurse, Ms. Ryth Ibe, RN and auxiliary volunteer Mr. Roco Ibe, 258 patients were seen in 6.5 hours and were provided various dental treatments including one three-unit fiberglass reinforced anterior bridge, 5 root canal therapies, 71 oral prophylaxis, 56 resin-bonded composite fillings, multiple fluoride applications and dental sealants on children and young adults, and 117 extraction including one alveoloectomy. 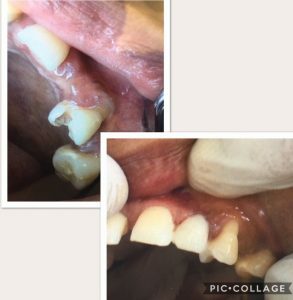 There were also sessions on “patient education” given to the patients followed by distribution of toothbrushes with fluoridated toothpaste and actual toothbrushing drill. 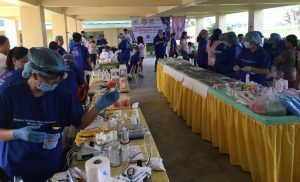 The number of patients seen and procedures done in this mission ranks amongst the most number of patients seen by the Foundation volunteers in less than 7 contact hours of actual treatment. 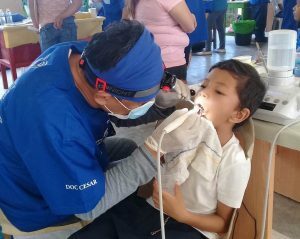 D4EVF for this mission brought additional hand instruments and supplies from its central office at Canoga Park, California to complement the numerous volunteer dentists. 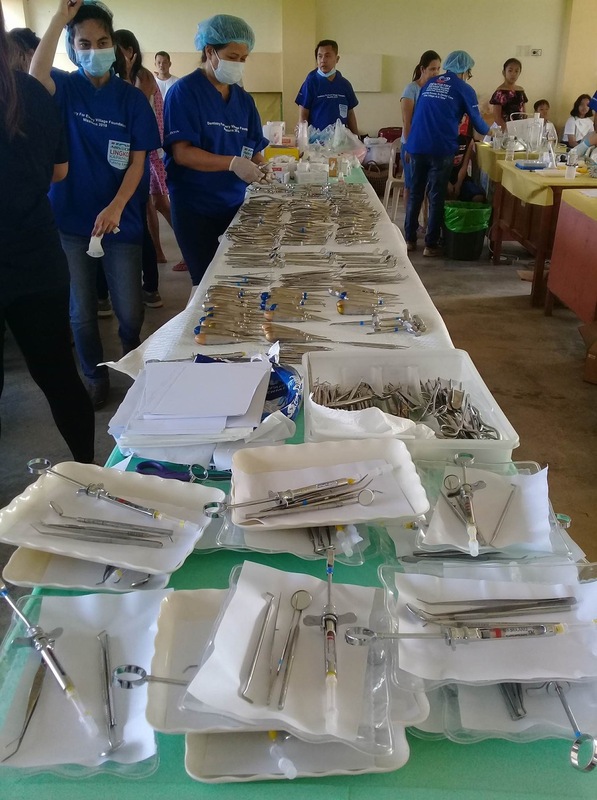 The additional hand instruments, particularly those used in surgery allowed more patients to be seen, as there was less wait for sterilized instruments. 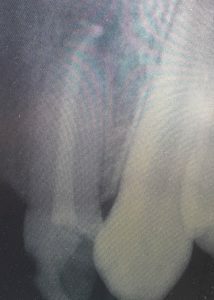 The presence of the digital x-ray system did wonders in doing the root canal procedures and aid in the difficult extractions. 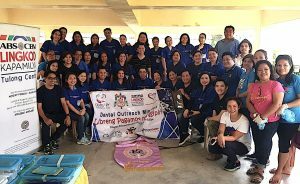 “Operation Sagip”, another entity within the ABS-CBN humanitarian arm joined the mission and provided a “Soup Kitchen” for everyone that came to the site. 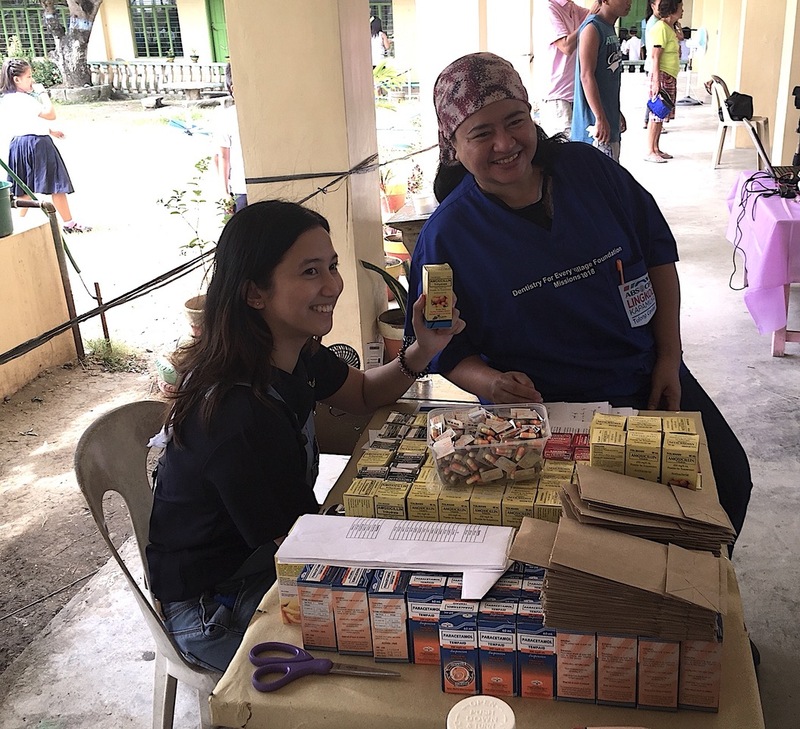 D4EVF wishes to thank ABS-CBN Lingkod Kapamilya Tulong Center, particularly Ms. Victoria Libao for providing the transportation from Las Piñas to Calumpit and back, as well as for providing food and drinks for the volunteers. They also provided plenty of dental supplies, medications, and sundries that were best bought in Manila rather than being transported from Canoga Park, California. D4EVF wish to thank the dentists –volunteers from the Las Piñas Dental Chapter of the Philippine Dental Association particularly, Dr. Annaliza Bolinao, Dr. June Kristy Tan, Dr. Maria Leah Imperio, Dr. Vivian Garcia-Caintic, Dr. Leah Rabe, Dr. Cesario Del Rosario, Dr. Raquel Kawamoto-De Guzman, Dr. Athena Hinolan-Arroyo, Dr. Ma. 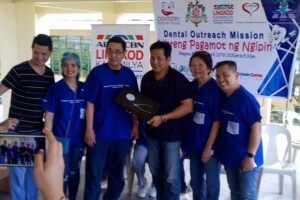 Delia Picardal-Saquido, Dr. Fely Aquende, Dr. Dioniros Calabio, Dr. Randolph Calabio, Dr. Meriam Arroyo-Cavite (LPDC-President), Dr. Hernan Dizon, (LPDC President-Elect) Dr. Citas Dizon, Dr. Agnes Magbuhos-Udan, Dr. Vivian Cudiamat, Dr. Elena Racelis-Osias, Dr. Melecio Osias, Dr. Rico Calingasan, Dr. Gemma Cabayu, Dr. Norwil Clavaton and Dr. Joy Tiongson; as well as the members of Group A Dental Associates, Dr. Amry Jane Chavez, Dr. Florabelle Tan-Frondozo, Dr. Cecily Rios-Vera Cruz and Dr. Luz D. Villanueva. Incidentally, congratulations to Dr. Hernan Dizon for winning the “The Most Productive Clinician Award”, an honor, given by the D4EVF for the dentist-volunteer who has attended to the most number of patients. 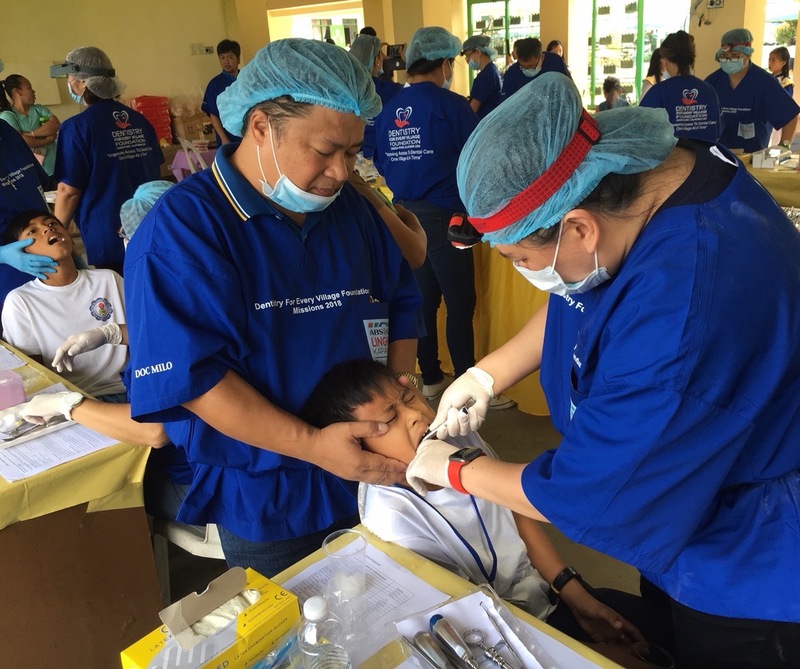 Dr. Dizon treated 24 patients. Coming in closely at second place is a tie between Dr. Cesario del Rosario and Dr. Agnes Magbuhos-Udan each of whom treated 20 patients. The Award is a brainchild of Ms. Marcela de la Vega, the CFO of D4EVF. 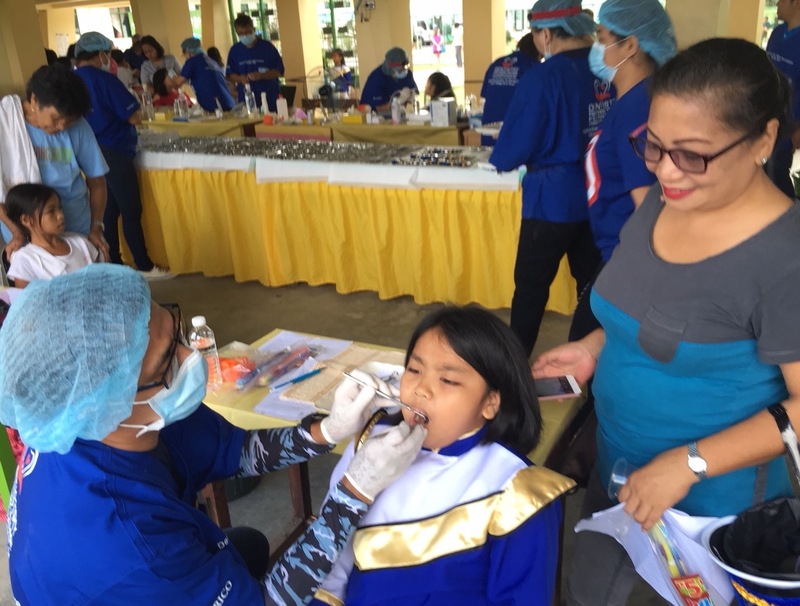 Further, D4EVF wishes to thank their consistent major supporters, the International College of Dentists Global Visionary Fund, of Flint, Michigan and The Henry Schein Cares Foundation of Melville, New York. Their contributions allowed the mission to happen. 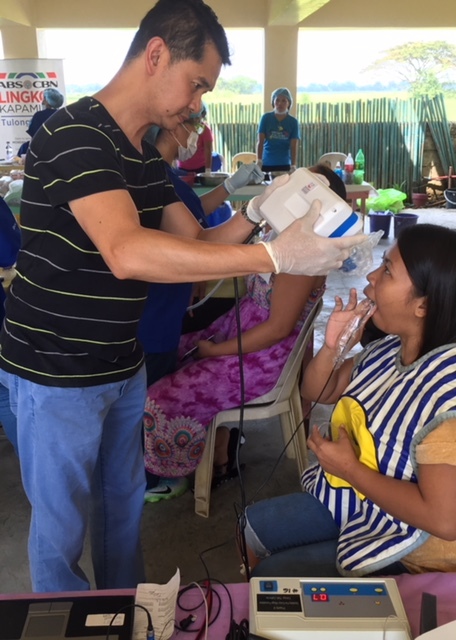 In addition, a sincere thank you to the DLV Family Trust for providing resources that allowed the project to be completed and Marcela L. De la Vega, RN, MN the CFO of D4EVF who came to our missions for the first time to personally witness how the projects are run. On a personal account, I thank my dental office staff, Amanda de la Vega, RDH and Marisela Organista, DA for taking care of my private dental offices while I was away doing the mission. 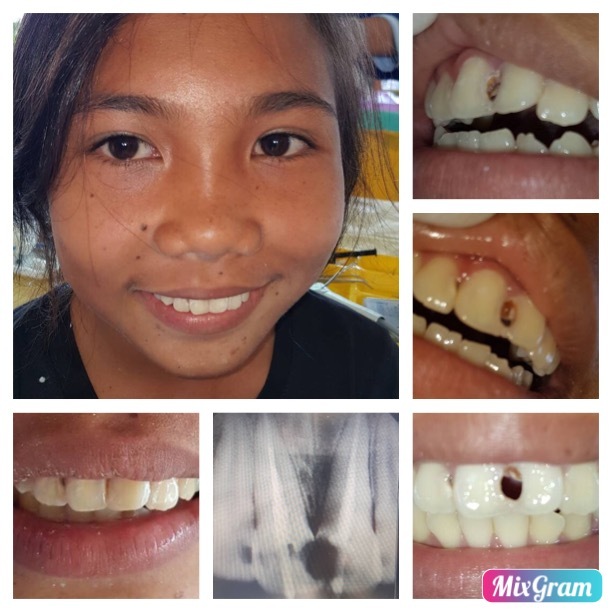 Last but not least, to Dr. Amry Jane Chavez, the D4EVF Special Assistant to the President based in the Philippines for making sure that every single detail was covered from picking up the D4EVF staff at the Manila International Airport to assuring that every single piece of dental instrument and supply was on the inventory list so as to have adequate instruments and supplies for the mission to go on smoothly. And finally, to the ABS-CBN Lingkod Kapamilya team members that accompanied us to the mission site, Lorena Barrion, Karen Diaz, Isagani Caberte and PJ Theamthutsana, thank you for being there for us.